6 Essentials for New Hikers + 25% OFF COUPON! If you’re just getting your first few hikes under your belt, you may want to consider these beginner hikers’ essentials. These essentials will help you along your hike, come in handy in the event you find yourself in a quagmire and even help you rediscover great skin! 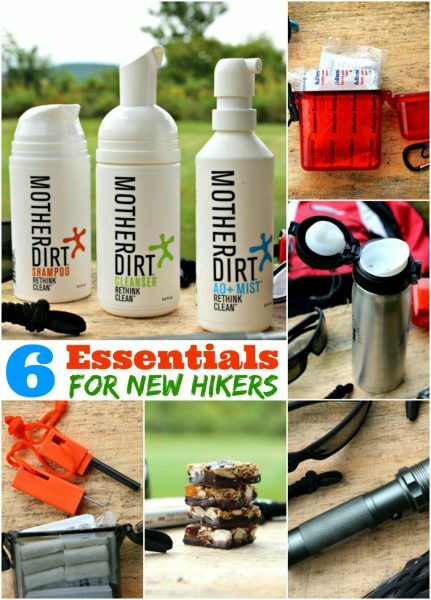 An important part of our hikers essential list is Aobiome Mother Dirt Skin Care products. 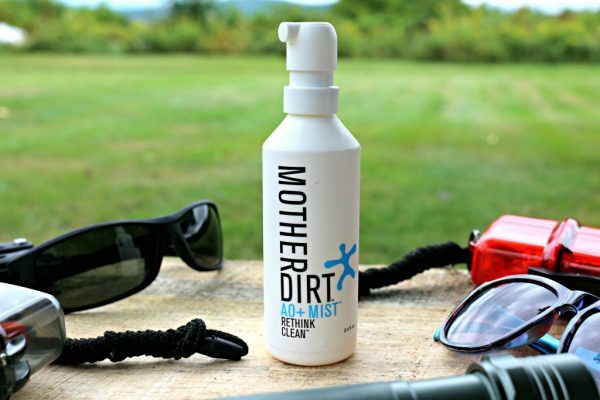 Mother Dirt isn’t something you’ll be bringing with you, but a product you can use at home after a long day on the trail. This product line up will help you keep your skin healthy, regardless of what mother nature throws at you. 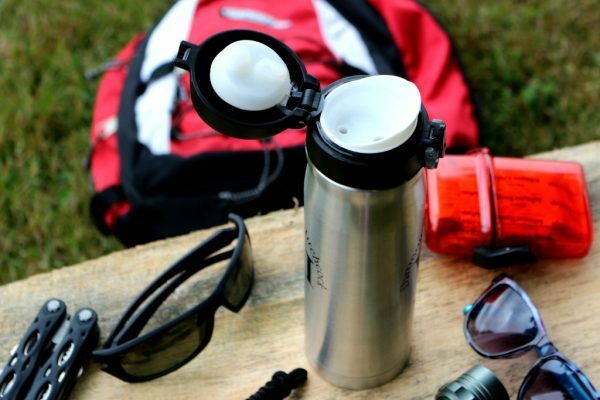 Aside from sunglasses, a cell phone and other obvious essentials, here are six things every hiker should have in their pack! 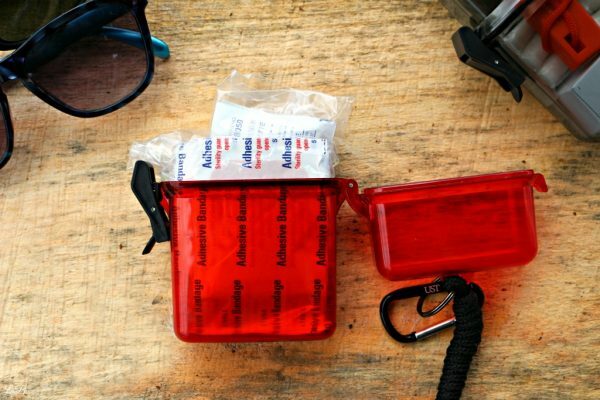 The first thing I think is important to carry for all hikers, not just beginners, is first aid supplies. You never know what will happen while you’re out hiking. A simple slip on a rock could result in a debilitating laceration. Having the proper first aid supplies will help you overcome this kind of obstacle and help you get out of the wilderness. A fire starter is an imperative hiking tool. In the event you need to stop and camp or spend the night in the wild, a fire will help your situation. A fire provides warmth, light and gives you the ability to boil water and cook food. 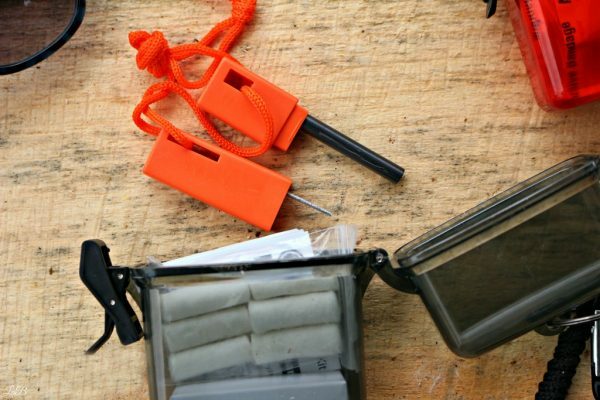 A fire starter takes up very little space in your hiking sack and is a supply that no beginner hiking kit should be without. We know that fire can provide some light if you end up spending the night in the woods. But, having a flashlight is also a great resource. If you end up walking the last mile of your hike after the sun sets, you’ll want a flashlight to illuminate your way. 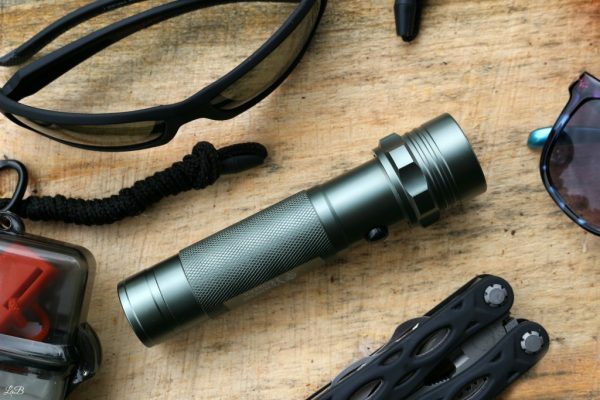 A flashlight is a compact essential for your hiking bag. Bringing your own water is better, and more healthy than drinking out of a stream. Most people think a plastic water bottle is best for hiking. But, a better option would be a lightweight stainless steel canteen or water bottle. This is a better option because it’s easier to boil water in a steel container than a plastic container. We all hope to never get lost or spend the night unexpectedly in the wild, but having a good canteen can make a big difference. Packing extra food, like quality snack bars packed with protein, vitamins and nutrients will help you overcome hunger on the trail. 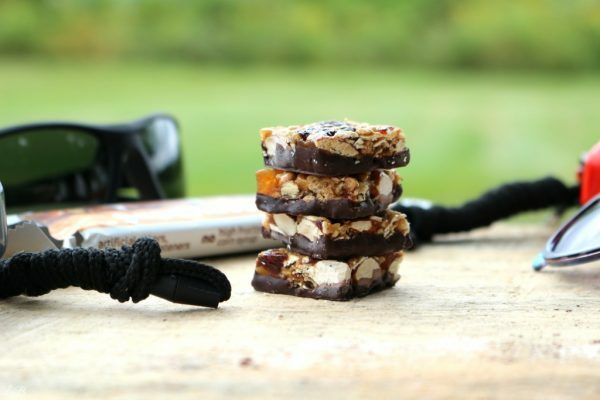 Snack bars are a compact, easy option to take with you on your hike and can give you the energy you need to keep going! 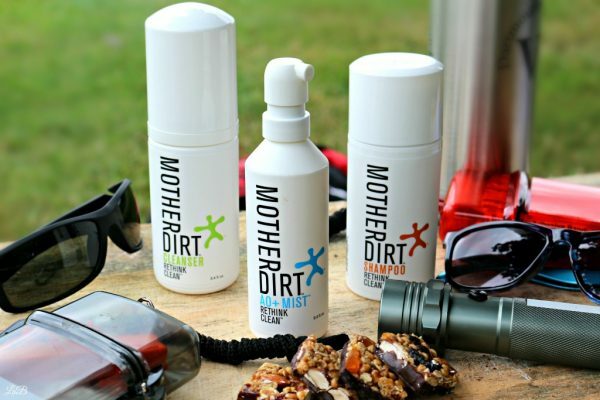 The Mother Dirt Skin Care line of products is an essential for all hikers, beginners, seasoned pros, men and women alike! Every person’s skin is an eco system of it’s own and Mother Dirt helps keep that eco system healthy. Mother Dirt products restore and maintain the good, natural bacteria on your skin. With all the products out there today, we’re obsessed with everything being so clean that it’s sterile. Sterile doesn’t always mean healthy, and certainly isn’t natural. Most skin care products kill the good, natural bacteria on our skin. Mother Dirt helps us restore and maintain the good bacteria on our skin. The result is healthier, hydrated skin with a balanced oil production. This helps with both dry and oily skin types. Mother Dirt also improves body odor and overall soothing of the skin. Mother Dirt is so beneficial, you may find yourself cutting down on the use of deodorant, skin moisturizers, other cosmetic and skin care products! The AO+ Mist is a live probiotic mist for your skin which helps your skin improve and maintain good bacteria. It’s great for both men and women, and even kids too. This mist has no fragrance or preservatives and is hypoallergenic! This is a great way to refresh after a hike, you’ll be helping your body restore the good bacteria which was lost by the harsh skin care products you’ve used in the past. A new way of cleaning your skin, Mother Dirt Face and Body Cleanser doesn’t remove the good bacteria while it cleans. It helps to enhance the results of the AO+ Mist, allowing your skin to maintain the healthy, good bacteria. The results are cleaner and healthier skin. 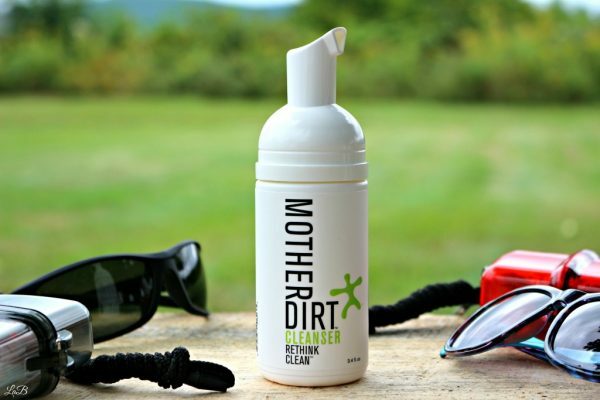 Mother Dirt Face and Body Cleanser does not contain any live bacteria. Mother Dirt Shampoo, much like the Face and Body Cleanser, helps to enhance the results of the AO+ Mist. 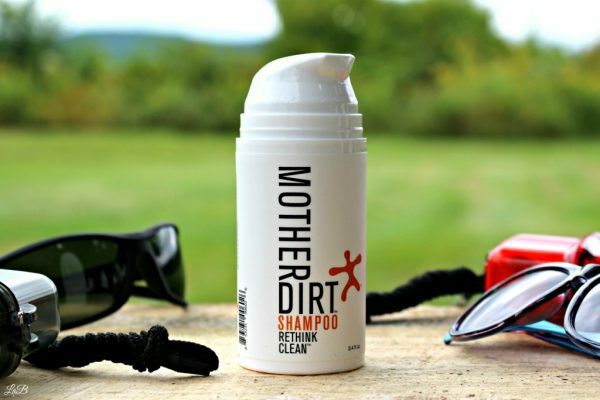 The Mother Dirt Shampoo allows you to wash your hair without removing the good, natural bacteria from your body’s ecosystem. Do you have colored hair? Don’t worry, this shampoo is color safe, too! It’s kid friendly, hypoallergenic, non-irritating and sensitive skin safe. This shampoo can help restore your body’s natural balance with nature. The Mother Dirt products have one thing in common, they all work in harmony to help restore your body’s natural ecosystem. Restoring the good bacteria on your skin. It’s time we Rethink Clean. 5 Bonus Tips For Beginner Hikers! 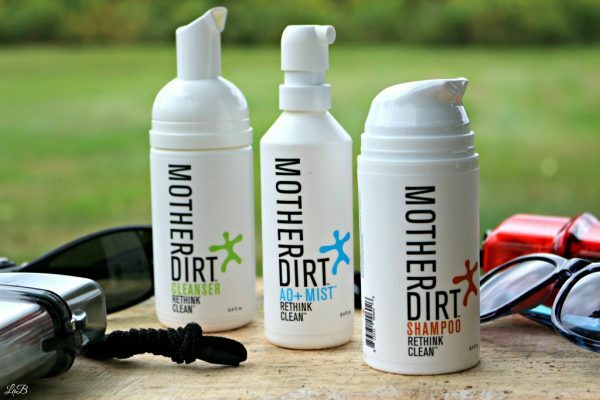 How will Mother Dirt help you rethink clean?